Sony has announced, by way of the PlayStation Blog, two bundles for the PS Vita. They will sell for either the U.S. or Canada. "Either" being the operative word here, as each country has its own specific bundle to pre-order. Additionally, pre-ordering one of these bundles will let you pick up your PS Vita early. "The U.S. bundle includes a PS Vita 3G + Wi-Fi model, a limited edition case, 4GB PS Vita Memory Card, and Little Deviants game for $349.99 (MSRP). The Canadian bundle includes a Wi-Fi model, a limited edition case, 4GB PS Vita Memory Card, and Little Deviants game for $299.99 (MSRP)." To re-state: there is currently no Wi-Fi only model bundle for the US, and there is no 3G + Wi-Fi model bundle for Canada. Unfortunately for users in the U.S., pricing and plan features for the AT&T handled 3G service for the PS Vita have not been revealed yet. By pre-ordering this PS Vita bundle, you could be locking yourself into landing hardware options you'll never use due to pricing you may not agree with. However, if you know you want all of these features, this is definitely the way to go. AT&T's current mobile data plans sit in three different tiers: $15 per month for 200MB, $25 per month for 2GB and $45 per month for 4GB. The company has not stated that the PS Vita will use the same plan packages, but those are the only pricing figures we have to go on. Let them serve as ballparks until we hear otherwise. 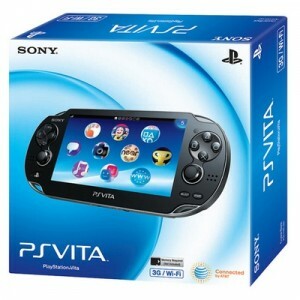 Outside of these bundles, the Wi-Fi model of the PS Vita will cost $249, while the 3G variety will sell for $299. The PS Vita will officially launch in Japan on December 17th. The handheld will sell in other regions around the world on February 22nd, 2012; however, pre-order the bundles above and you'll be able to pick them up on February 15th, a whole week early. Buy the PS Vita on Amazon.